In the midst of our crazy movie tour schedule, I signed up to review a couple of books. What was I thinking? 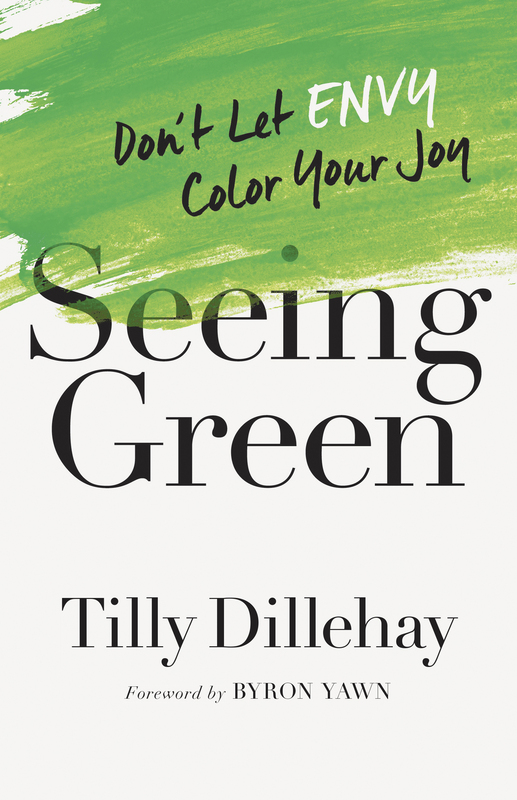 However, once I picked up Seeing Green by Tilly Dillehay, I knew that busy as I was, I needed to find time to read this one. The subtitle of the book is “Don’t Let Envy Color Your Joy.” My first thought was that I’m not a particularly envious person. Honestly. I love encouraging and promoting others. But as I read her very personal stories, I realized I did have issues. Maybe not blatant, but lurking in the recesses of my mind, nonetheless. Tilly Dillehay writes in a style of a friend having a heart-to-heart with another friend. She talks about things that are generally reserved for late night slumber parties. But in making herself vulnerable, she allows readers to truly be convicted and encouraged to free themselves of any envy that’s stealing their joy. If you’re looking for a book that will challenge your thinking and strengthen your Christian walk, be sure to check out Seeing Green. You can order Seeing Green directly from the publisher. Use the code SEEINGGREEN25 and get a 25% discount from August 20 – September 30, 2018.